(2017). Evaluation of Color Sensitivity to Dyeing Parameters in Natural Dyeing with Anthocyanin. Journal of Textiles and Polymers, 5(2), 43-48.
. "Evaluation of Color Sensitivity to Dyeing Parameters in Natural Dyeing with Anthocyanin". 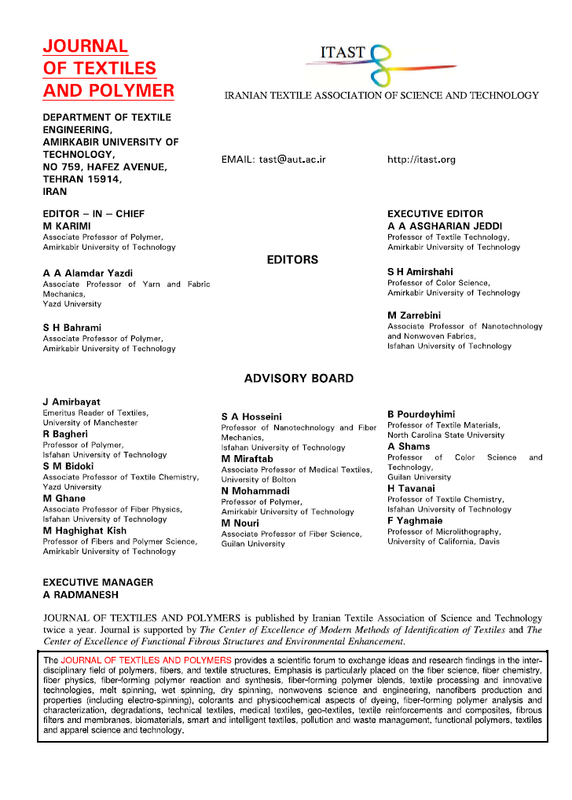 Journal of Textiles and Polymers, 5, 2, 2017, 43-48. (2017). 'Evaluation of Color Sensitivity to Dyeing Parameters in Natural Dyeing with Anthocyanin', Journal of Textiles and Polymers, 5(2), pp. 43-48. Evaluation of Color Sensitivity to Dyeing Parameters in Natural Dyeing with Anthocyanin. Journal of Textiles and Polymers, 2017; 5(2): 43-48.